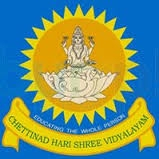 Chettinad Hari Shree Vidyalayam is managed by the Chettinad Group under the auspices of Gandhinagar Education Society. The Gandhinagar Education Society was established in 1954. From 1956 to the present time, several schools have been built and are functioning as charitable institutions supported by the Chettinad family. Dr. M.A.M. Ramasamy is the president of the society and he continues the society’s committed effort to serve the community. Chettinad Hari Shree Vidyalayam is a home where knowledge in its multiple forms is passed on. Procedure: Admissions are open for class LKG from Oct 19, 2018 for the academic year 2019-20. Admissions are open for class LKG from Oct 19, 2018 for the academic year 2019-20. Admissions open now for other classes for the academic year 2017-18. Online application forms are available in the school website. Fill in and submit the Online application forms in the school website. Applicants will be intimated with further details through email. 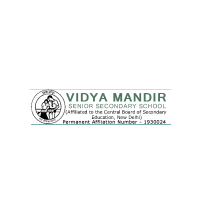 School will be issuing Application forms online for the Vijaydashmi on 16th October, 2016 from 8 am onwards.